The Best Trucking Blogs from thousands of top Trucking Blogs in our index using search and social metrics. Data will be refreshed once a week.Also check out Top Trucking Youtube Channels list for Top videos on Trucking. 2.37 The Trucking Network Inc.
2.97 The Preppy Trucker - "You thought it wasn't possible"
Trucking newsletter is a comprehensive summary of the day's most important blog posts and news articles from the best Trucking websites on the web, and delivered to your email inbox each morning. To subscribe, simply provide us with your email address. Parry Sound, Ontario About Blog Smart Trucking is all about the trucker. Our trucker blog features our unedited thoughts and opinions about random topics in the trucking industry. Our mission is to share our passion for trucking and support the trucker, by providing the key players in this business with the tools and skills they need for ongoing career success. Facebook fans 33,553. Twitter followers 6,664. Chicago, IL About Blog Fueloyal official blog provides useful articles for all participants in the trucking industry. Tips, advices and infographics for truckers, truck company owners and more. Facebook fans 2,837. Twitter followers 132. Tuscaloosa, AL About Blog Overdrive Magazine, the Voice of the American Trucker, has been covering the businesses of owner-operator truck drivers for more than a half century. Facebook fans 410,797. Twitter followers 22,717. Canton, Ohio About Blog Check out our trucking software blog to keep up with the latest industry trends and useful tips and advice. Trucking management software built to help truckers succeed. Our mission is to offer premier trucking management software that helps trucking companies improve their efficiency, DOT compliance, and profitability at a price that every trucking company big or small can afford. Facebook fans 20,205. Twitter followers 1,619. United States About Blog The information source for commercial truck fleet operations, equipment and technology. Fleet Owner provides information about operations, vehicle maintenance, industry regulations and information-management technology. Also includes information on latest trucking trends, including hybrid technologies, diesel fuel economy, trucking safety, jobs and employment news. Facebook fans 6,044. Twitter followers 26,026. Toronto, ON About Blog Truck News is Canada's leading trucking newspaper for the trucking industry, and includes information on truckers' business needs and personal interests plus listings for truck driving jobs, used trucks and trucking companies. Crossville, Tennessee About Blog Trucker News, Events, Videos, Pics, How To Articles, Semi Truck features. NextTruck is a division of TAP Publishing Company focused on the trucking industry. NextTruck is also a great resource for truckers to find industry services. Facebook fans 314,206. Twitter followers 6,230. Waterloo, Ontario About Blog The BigRoad Blog is your source for trucking news. Stay informed on ELD mandate updates, the best in electronic logbook apps, and hours-of-service compliance. Facebook fans 31,918. Twitter followers 4,772. San Francisco, CA About Blog The place on reddit to share everything about Truckers. Facebook fans 1,163,296. Twitter followers 521,246. Over The Road, USA About Blog TruckersReport is a network of professional truck drivers connected by our trucking industry forum, which provides an independent community for drivers to share information and assist each other’s careers. Get all your questions about the best truck driver jobs and training answered by thousands of experienced truckers. Facebook fans 144,940. Twitter followers 30,738. Tuscaloosa, AL About Blog Commercial Carrier Journal offers news, analysis and other information to managers of trucking companies and commercial truck fleets. Facebook fans n/a. Twitter followers 9,773. US & Canada About Blog A nationwide employment database helping truck drivers find jobs and trucking companies find new hires. Facebook fans 51,061. Twitter followers 568. Tuscaloosa, Alabama About Blog Read the latest trucking news on our Truckers Blog. Trucker Classifieds is a website built to connect truck drivers with local trucking jobs. Including a free applicaton service, current job listings can be searched down to the city for opportunities close to home. Facebook fans 35,348. Twitter followers 924. Rock Hill,SC About Blog ExpressTruckTax's blog for the latest updates on e-filing IRS Federal Heavy Vehicle Use Tax Form 2290. Safely e-file your HVUT 2290 with ease! Facebook fans 5,054. Twitter followers 1,089. San Francisco, CA About Blog The place on reddit to share those trucking accidents and fails seen around the world! It's a scary place out there with all of the steering wheel holders in charge of these massive vehicles. Facebook fans 1,163,297. Twitter followers 521,246. San Francisco, CA About Blog KeepTruckin gives your drivers a free and easy to use mobile application to record their logs on their iPhone, iPad, or Android device. KeepTruckin is on a mission to improve the efficiency and profitability of America's trucking industry by building great technology products for truck drivers and fleet managers. Facebook fans 22,320. Twitter followers 3,507. Ocala, Florida About Blog Raney's Chrome offers the largest selection of heavy duty parts, accessories and chrome online with the best customer service to back it up. They specialize in helping you customize your truck with the very best service from start to finish! Facebook fans 128,466. Twitter followers 2,368. USA & Canada About Blog Schneider is a leading provider of premium truckload and intermodal services, and we’re a company that’s built to last. The blog is primarily focused around helping drivers learn about driving jobs and careers instead of about the nature of our services. Facebook fans 163,753. Twitter followers 14,126. West Valley City, Utah About Blog Keep up to date with the latest from C.R. England, our trucking blog is updated regularly with career statistics, safety tips, company news & fresh topics. C.R. England, Inc. is a Utah based refrigerated trucking and transportation company, one of the largest in the United States. Facebook fans 29,156. Twitter followers 6,873. About Blog Truckingtruth's blog will help you understand the trucking industry, decide if truck driving is right for you, and get your career off to a great start! TruckingTruth is a website dedicated to helping those considering a career in truck driving. Facebook fans 12,864. Twitter followers n/a. Fort Worth, TX About Blog Trucking Industry news, information and trends. Apex Capital Corp covers trucking regulations, transportation news, and other information for truck drivers. Facebook fans 6,440. Twitter followers 1,082. Florence, Kentucky About Blog The expedited freight information center. North America's largest resource of information for individuals in the expedited, just-in-time freight industry. Stay connected to the largest marketplace and community of expedited trucking owner operators in North America! Facebook fans 7,108. Twitter followers 2,714. Parkland Drive Sandy UT About Blog Stay up-to-date on the latest trucking industry and PrePass news to improve commercial vehicle safety, compliance and efficiency. PrePass is the leading provider of weigh station bypass, toll payment services and trucking safety software. The most bypasses means the most savings. Facebook fans 39,336. Twitter followers 10,392. Saint Petersburg, Florida About Blog News and Articles about becoming a truck driver. Roadmaster is a hands-on truck driving school providing CDL Training at our locations nationwide. Facebook fans 43,399. Twitter followers 3,169. USA About Blog AllTruckJobs.com allows you to browse truck driver jobs, submit applications, and let trucking companies search for you! Facebook fans 49,727. Twitter followers 2,405. Ohio, USA About Blog Drive My Way serves the trucking industry to ensure drivers find jobs that fit their lives and employers find drivers who best fit their opportunities. Facebook fans 3,265. Twitter followers 971. About Blog Truckingboards.com originally started in 1999 using free forum resources for trucking industry. Facebook fans n/a. Twitter followers 1,150. Indianapolis, Indiana About Blog American Trucker offers access to a large community of diverse trucking businesses providing valuable content for trucks, trailers, parts & equipment. Facebook fans 15,568. Twitter followers 13,543. Aiken, South Carolina About Blog We are Mike and Vicki Simons, of Truck-Drivers-Money-Savings-Tips.com. The Truck Drivers Blog for Saving Money. We provide real world tips that help professional truck drivers save hard-earned money and personal reporting about products and services for use on the road. Facebook fans 1,870. Twitter followers 7,953. Edmonton, AB, Canada About Blog Get updates about Heavy Trucks, Trailers, Construction Equipment, Attachments / Parts, and Agricultural Equipment to buy and sell. Heavy Duty Direct is Canada's new & used equipment magazine for buyers and sellers in trucking, construction, heavy equipment and related Industries. Facebook fans 392. Twitter followers 345. Plover, Wisconsin About Blog The Women In Trucking Association is a non-profit organization focused on the transportation and logistics industry. Their mission is to encourage the employment of women in the trucking industry, promote their accomplishments and minimize obstacles faced by women working in the trucking industry. Facebook fans 447. Twitter followers 20,322. Plover, Wisconsin About Blog Ellen Voie is President of Women In Trucking, a group that encourages and supports women in the trucking industry and celebrates their successes! Facebook fans 436. Twitter followers 20,217. Dunnellon, Florida About Blog Allen Smith is a 34 year veteran of the trucking industry. He started his first website Truth About Trucking in 2006 and shortly after founded the AskTheTrucker Blog in 2007. His aim is to inform and educate the trucking industry regarding the most pressing issues that trucking and drivers face. Facebook fans 8,975. Twitter followers 14,038. Tuscaloosa, Alabama About Blog Truck Parts & Service is the oldest and only publication written and edited exclusively for the heavy-duty aftermarket. Truck Parts & Service helps readers keep customers trucks running by the most efficient and profitable means possible. Facebook fans 11,874. Twitter followers 1,842. Rock Hill, SC About Blog TruckLogics is a web-based trucking management software. Browse their directory of blogs containing unique information and perception about trucking topics encircling around trucking news, truck tips, trucklogics features. Facebook fans 2,553. Twitter followers 1,383. 37. The Trucking Network Inc.
Mississauga, Ontario About Blog Your best source of all trucking updates! The Trucking Network bring Trucking News in Canada in French, English and Punjabi. We organize Mega Job Fair in Toronto. Stay Updated for Truck News Canada. Facebook fans 4,045. Twitter followers 3,057. North Carolina, USA About Blog Life as a trucker advice and tips about becoming a trucker, CDL training options, choosing a trucking company, getting experience driving, OTR relationships and making more money. Get answers about trucking jobs, trucking schools, relationships and over the road driving. Facebook fans 1,892. Twitter followers 536. Indianapolis, Indiana About Blog Celadon's blog to keep up to date with industry and company news, and get great tips to stay successful out on the road! Celadon Trucking is one of North America's largest transportation companies. Facebook fans 68,230. Twitter followers 3,981. St. Paul, MN About Blog Transport America shares stories of professional truck drivers life one the road, industry news, and how as an organization they are changing trucking. Facebook fans 118,468. Twitter followers 6,357. Canada & USA About Blog Drivewyze is the best weigh station alert and bypass system for Truckers. Facebook fans 13,710. Twitter followers 823. About Blog Trucking News Online is among the leading online sources for commercial truck industry news, information and commentary. Anaheim, California About Blog UltraLift Technologies is a leading technology company developing and producing the world's first powertool used in the transportation and logistics industries. Our technical innovations will improve our global clients' overall operations as well increase their employee productivity and safety. Facebook fans 16. Twitter followers 4. Pleasanton, California About Blog Great Western Transportation is your complete trucking service. They will deliver personalized customer service. We have transportation solutions for all types of freight shipments. Facebook fans 219. Twitter followers 912. Houston, Texas About Blog Platinum Drivers is a CDL driver placement service providing drivers in all areas of Florida, Georgia, Louisiana, Oklahoma, North Carolina and Texas. Facebook fans 227. Twitter followers 69. Facebook fans 2,905. Twitter followers 1,371. Wyoming, MI About Blog NTB Trucking is a professional truck driving and freight company. Now hiring truck drivers for regional trucking jobs. Facebook fans 52,669. Twitter followers 3. About Blog Truck & Driver, the UK's best-selling truck magazine. Truck & Driver is 100% for drivers and 100% focused on their needs and interests. Facebook fans 23,189. Twitter followers 17,698. Dallas, Texas About Blog 1800 Truck Wreck is available for anyone seeking information about their legal options in the event that they have been involved in a commercial truck accident. Facebook fans 4,122. Twitter followers 1,454. CA (Fresno, Visalia & Merced) About Blog Get updated articles on Trucking from Advanced Career Institute. Advanced Career Institute offers career training for residents of California's Central Valley. Facebook fans 3,436. Twitter followers 21. Baltimore, Maryland About Blog Evan Transportation is an asset based, full service transportation and equipment provider. They specializes in next day deliveries and is experienced providing excellent service to customers in major metropolitan between New York and North Carolina. Facebook fans 20. Twitter followers 16. Pretoria, South Africa About Blog The bimonthly publication Trucks & Heavy Equipment, is available nationally every second month of the year and is a 'one-stop' source of news, comment and opinion for all those involved in the rapidly growing Business of Trucks. The magazine covers news about every weight segment for commercial vehicles - LCVs, medium trucks, heavy trucks and extra-heavy trucks, and buses. Facebook fans 607. Twitter followers 440. Rice Lake, WI About Blog We are truckers, gear heads, garage dwellers and lovers of nearly anything with wheels and horsepower. Facebook fans 549. Twitter followers 217. Tallahassee, Florida About Blog The Florida Trucking Association has promoted and protected the interests of Florida's trucking and transportation industry for more than 80 years. Their mission is to serve and represent the interests of the trucking industry while promoting highway and driver safety and a healthy business environment. Facebook fans 3,550. Twitter followers 1,398. Northport, Alabama About Blog Get the latest on truck driving jobs and the trucking jobs industry as a whole. Facebook fans 10,684. Twitter followers 3,029. Inglewood, California About Blog Western Truck Insurance Services has evolved into a highly respected, professionally managed, truck and transportation insurance brokerage. Their mission is to provide high quality insurance and risk management by a staff dedicated to building the finest national truck insurance brokerage. They are committed to deliver exceptional value which results in more profits to our clients and companies. Facebook fans 560. Twitter followers 578. TBHQ, Essex, GB About Blog All things truck are welcome photos and a short description are all it takes. Facebook fans 3,643. Twitter followers 2,040. Phoenix, Arizona About Blog Phoenix Truck Driving Institute offers Commercial Drivers Licence (CDL) training for careers in the truck driving industry. Facebook fans 1,962. Twitter followers 259. Victoria, TX About Blog A news and information site for drivers - old, new and those who want to. Jacksonville, Florida About Blog At Owner Operator Direct, we've simplified commercial truck insurance for the owner operator by offering the best coverages, prices, claims expertise and customer service in the business. Facebook fans 27,313. Twitter followers 279. Florida About Blog Check out our truck driving blog for freight, shipping and career news, stories and other information related to the trucking and logistics industry. Facebook fans 1,631. Twitter followers 4,014. Knoxville, Tennessee About Blog The St.Christopher Truckers Relief Fund is a non-profit organization that assists semi-truck drivers who's medical problems have caused financial difficulty. Facebook fans 4,921. Twitter followers 3,816. Salt Lake City, UT About Blog Stay up-to-date on the latest semi trailer, truck, and van equipment news in the Salt Lake City, Utah area with the Semi Service blog! Fort Collins, CO About Blog Check out our blog for driver news, tips, articles, & more. Transpro Burgener is a premier dry bulk carrier serving the Western United States and Canada. Facebook fans 10,560. Twitter followers 46. Winnipeg, Manitoba About Blog Len Dubois Trucking is a family-run transportation and trucking company in Winnipeg. Specializing in full truck load, LTL and warehousing we can find your transportation solution. Facebook fans 513. Twitter followers 736. Winnipeg, Manitoba About Blog The Manitoba Trucking Association is an Industry Association that represents the interests of the Trucking Industry in Manitoba. The mandate of the MTA is to serve the needs of the trucking industry and its interested parties through promoting a healthy business environment and advocating for safety, education, and responsibility. Facebook fans 1,406. Twitter followers 4,181. Lake Worth, Florida About Blog REAL Women in Trucking, Inc. encourages all drivers to unite and become advocates for the industry in order to improve the work and lifestyle environment. They are women truckers that promote safety by educating the public about unsafe truck driver training and creating a network of support for women entering trucking. Facebook fans 9,752. Twitter followers 14,726. About Blog TalkCDL is a Trucking Podcast from Truckers for Truckers, posting a new Trucking Podcast Episode every Friday. The Trucking Industry is in for a treat. Facebook fans 265,973. Twitter followers 186. Sioux Falls, South Dakota About Blog Learn more about the issues you care about with the K&J Trucking blog. Whether you are a truck driver, K & J customer, vendor or trucking enthusiast, welcome home. K & J Trucking has been owned and operated in Sioux Falls, South Dakota since Dave Koch founded it in 1979. Facebook fans 638. Twitter followers 21. Leitchfield, KY About Blog Our trucking blog follows industry-related news, legislative changes, regulatory implementation, and more. Alexander & Alexander, Inc. (A&A) is a full service transportation insurance agency. We are insurance professionals specializing in commercial semi truck and transportation insurance services. Facebook fans 203. Twitter followers 1,194. Canada About Blog The Lead Pedal Podcast aims to be a positive voice for truck drivers in the transportation industry. The Lead Pedal Podcast is a show for those in the trucking industry wanting to improve their trucking careers or businesses. We are hoping this information will help you become a professional driver faster than if you didn’t know about many of these topics. Facebook fans 139. Twitter followers 1,070. About Blog Join Maggie Jessop in her 2017 Volvo named Belinda with her goldfish Remington as they travel the Highroad and deliver good cheer. US About Blog Resources to help you understand the world of truck driving and trucking industry through the use of stories and a pathetic attempt at humor. Learn about the trucking lifestyle. Facebook fans n/a. Twitter followers 3,356. Yuma, Arizona About Blog Yuma Truck Driving School trains students to not only pass their Commercial Driver's License (CDL) test, but to become the kind of professional driver that companies seek. Their mission is to offer students the opportunity to develop both the technical knowledge and personal skills vital to employment in the ever-changing world of truck driving. Facebook fans 2,144. Twitter followers n/a. Baltimore, Maryland About Blog Check out the Baltimore Freightliner-Western Star Blog for News & Updates on freightliners, service, freightliner sales & parts in Maryland. Baltimore Freightliner-Western Star is an authorized dealer for new and used medium-duty and heavy-duty Freightliner and Western Star trucks and Sprinter Vans. Facebook fans 128. Twitter followers 74. Wayne, MI About Blog Flatbed trucking jobs available at SteelPro, a flatbed trucking company specializing in the transportation of steel and other commodities. SteelPro provides professional and quality transportation and warehousing services to the entire metals industry. Facebook fans 4,310. Twitter followers n/a. Bristol, South West, Wales About Blog My name is Luke, I'm a lorry driver and this is my site. I spend my time driving my lorry about the highways and byways of Europe. Here you will find various bits and pieces created by me, from videos to pictures to ramblings, as I go about my life driving about the place. I love my job and my truck and I do hope you find my little corner of the interwebs interesting. Facebook fans 15,541. Twitter followers 5,091. Hillsboro, OR About Blog At Elite Truck School, we offer competitive rates for our high standard truck driver training program in a family-like environment. Elite Truck School in Portland has more than 30 years of award-winning experience helping professional truck drivers obtain CDLs. Facebook fans 507. Twitter followers 179. Joplin, Missouri About Blog Transport Distribution Company (TDC) is a leading transportation company that offers the best service through building a family of Drivers, Service Technicians, and Corporate Team. Facebook fans 1,744. Twitter followers 67. Granite City, Illinois About Blog Truckers blog for over the road truck drivers. Dynamic Transit, a trucking transportation company, provides trucking tips, advice for new drivers, and more. Facebook fans 2,569. Twitter followers 240. Poland About Blog I'm a truck driver. I share with you some of my experiences from the road and not only. I will encourage professional drivers such as my self to work out during the few minutes of rest. Facebook fans 208,937. Twitter followers n/a. Toronto, Ontario About Blog The business information resource for the Canadian trucking industry. Today's Trucking aim to help them understand equipment issues, regulatory concerns, technical challenges and the future direction of Canada's trucking industry. Facebook fans 4,730. Twitter followers 24,716. Indiana, USA About Blog Not a trucking show, just entertaining trucking films that tell a story. Facebook fans 12,441. Twitter followers n/a. Las Vegas, NV About Blog Modern day trucking is a far cry from that of the days of the super truckers. Follow Frank & Stephanie Rebelo on their journeys both professional and personal. Stephanie and Frank are professional drivers in the expediting class of trucking. Learn why this profession is so attractive not only to retirees, empty nesters and gen x'ers . Facebook fans 3,131. Twitter followers 112. About Blog Me and the wife trucking across the country, and her training experience and all the goodtimes to come. Follow me and the wife on the road driving big rigs, cracking jokes and learning the life of a long haul truck driver. Facebook fans 338. Twitter followers 29. United States About Blog Welcome to "Trucking with LoShawn Parks". On this channel, you will experience my journey through trucking. United States About Blog The Truckers Coach provides the tools for Truck Drivers to be successful in the trucking industry. We offer a wide array of tools and classes aimed at the solo and Team Driver. Todays drivers need todays lessons and training and that is what we provide here at The Truckers Coach. United States About Blog Welcome to my Channel. I'm Blazing a path to success in Trucking and I'm leaving the trail lit, come on. I started this Channel to help Truckers with the dreadful EGR Emissions. I've been Trucking since 2000, pushing 2,000,000 miles safe driving, along with ways to maximize fuel economy. I'll still make those along with other topics as well. United States About Blog Brotherman Trucking a YouTube Trucking channel where your Owner Operator Trucking education begins. Created in 2015 as a how to video training platform. We helped people transition from being a company driver to becoming trucking a business owners. With over 16 years experience in CDL driving, business development, sales and marketing. We have a massive passion for helping people succeed in the - Business of Trucking/Transportation. Draper, Utah, United States About Blog Having been a professional truck driver and trainer for more than 30 years, I find that you never, ever know it all. There are always new things to learn. My primary goal with this blog is to help other drivers (especially newer ones) with pertinent information and tips to enable them to work happier and more safely. Facebook fans 14. Twitter followers 20. Brisbane, Queensland, Australia About Blog At the Trucking Support Agency of Australia our mission is to support our trucking industry, our drivers and our families! Facebook fans 6,161. Twitter followers n/a. Little Rock, Arkansas About Blog The Arkansas Trucking Association serves to protect the interests of trucking companies, both in regulatory and political arenas. Facebook fans 2,124. Twitter followers 2,265. Ontario Canada About Blog The Truck Training Schools Association of Ontario is committed to providing the trucking industry with the highest quality driver training programs for entry-level individuals that earn and maintain public confidence, adhering to sound and ethical business practices. Facebook fans 316. Twitter followers 1,229. Owings Mills, Maryland About Blog Lebowitz & Mzhen, LLC handles serious personal injury and wrongful death cases arising from vehicle crashes. We believe that all clients deserve to be safe. Facebook fans 59. Twitter followers 29. Santa Clarita, CA About Blog Follow the specialist blog of Commercial Trucking School in Los Angeles for expert updates and tips on becoming a certified truck driver in California! Pomona, CA About Blog Welcome To Armada Trucking Group! If you're looking for regional truck driving jobs in Los Angeles, CA we offer great flexability and benefits for our workforce. 97. The Preppy Trucker - "You thought it wasn't possible"
About Blog The goal of The Preppy Trucker is to challenge some of those assumptions by shedding light on the lives of a people group that is entirely misunderstood, forgotten about, and left in the social dust: truckers. 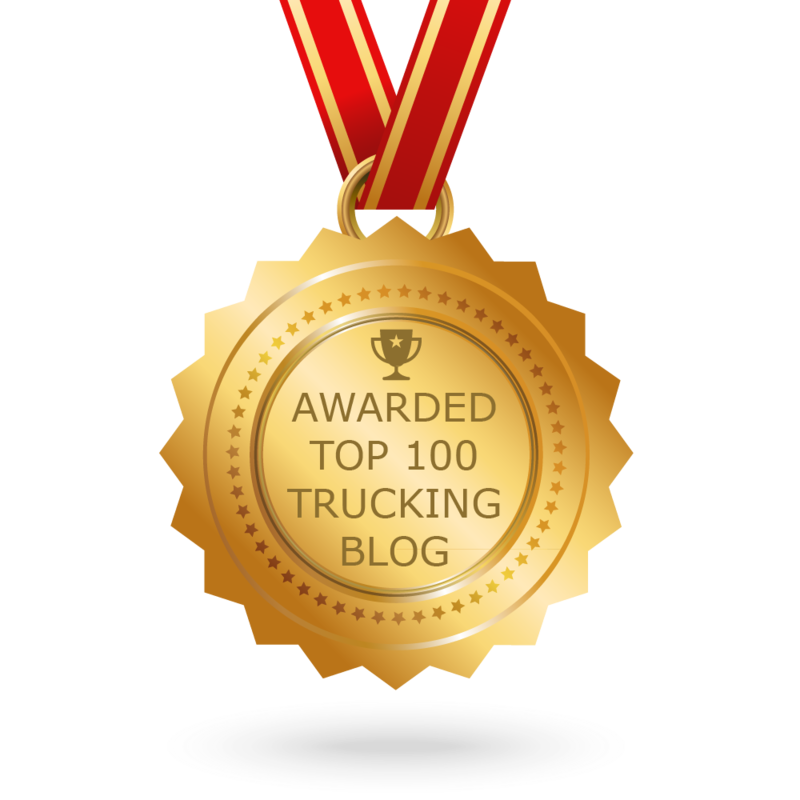 CONGRATULATIONS to every blogger that has made this Top Trucking Blogs list! This is the most comprehensive list of best Trucking Blogs on the internet and I’m honoured to have you as part of this! I personally give you a high-five and want to thank you for your contribution to this world.